Fine art is a type of visual art that depicts ideas or thoughts of the artist, usually portrayed with an aesthetic beauty. 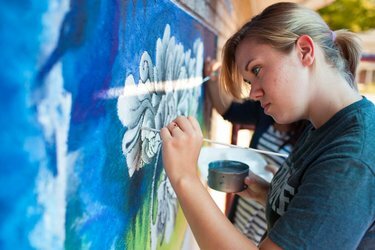 Although it’s one of the oldest professions and has been around for thousands of years, career options in fine arts have diversified with time and new fields have emerged. The world of arts is definitely beautiful. It takes you away to a dimension where anything is possible depending on how elaborate your imagination can get. In this day and age art has taken up many forms and as such people taking up fine arts are trained on many skills like: painting, sculpting, calligraphy, conceptual art, photography and many others. The term is still often used outside of the arts to represent perfection achieved in a particular skill. For example, one could metaphorically say that “Messi has taken football to the level of a fine art." 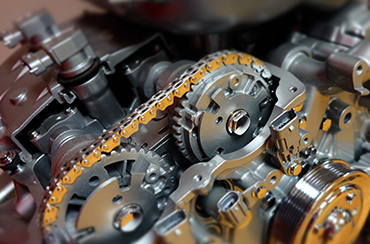 We have come up with a comprehensive table which lists the top colleges offering this course. This table will help you to understand important factors like the duration and fees for each country at a glance. Once you have finished with a degree in Fine arts, there are many opportunities for work available both locally and internationally. You could associate with art galleries, where artists present their work. If you are a really talented artist, your art might even feature at international art exhibitions. There are many opportunities available for amateur artists as well. You can work as an illustrator, a sculptor, a painter or a photographer. These are just some of the jobs a fine arts graduate can have. Organisations employ fine arts graduates in either permanent or temporary capacities. Comic book companies, publication houses and art galleries are just few examples of organisations offering permanent positions. Companies which offer work to fine arts graduates in temporary positions range from huge multi-national organisations to small organisations, as illustrators, or calligraphers. These companies offer work to fine arts graduates on contract basis for product releases or to address consumers. Apart from working for companies, painters, sculptors and photographers have generally been known to work freelance. 10 years back, the internet wasn’t as developed and far reaching as it is right now. This gives the freelancers a better opportunity to spread and showcase their work on various websites. , many fine arts graduates like cartoonists, sculptors, illustrators and photographers now leverage the power of the web. Also, there are many artists who have opened up their own art galleries, where they hold art exhibitions and auctions. Although if you choose to go into illustration, calligraphy or print making there are many organisations which give you work. Magazines, Newspapers, Media houses all hire cartoonists, calligraphists and photographers. Even for people who specialise in something like ‘lapidary’, who is an artisan who forms stones and gemstones into decorative items. Hence, you can either choose to work in a regular job, or run your own organisation as an entrepreneur, with a career in fine arts. A career in fine arts can help you flout the rules around earning money. Depending on the quality of your art, you could be paid a fortune for a single piece of art. 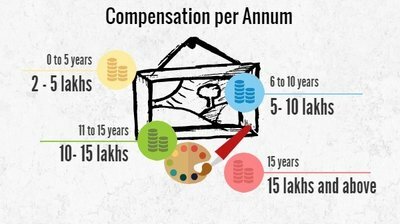 Many artists hold exhibitions where their art works sell on a per item basis; hence it is tough to accurately predict the remuneration for a painter. Edward Munch’s masterpiece Scream is the world’s most expensive, it is valued at 630 crore. As insane as it may seem this is the kind of money one can earn, if his art is received well and appreciated. As an illustrator or a cartoonist you would be settling into a regular yearly salary structure like normal. Acting and Modelling is a career that revolves around telling stories through movies and films. 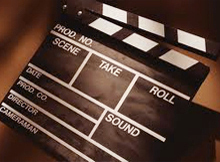 Actors and actresses are given specific roles to play in the movie they have been hired for. Actors an actresses also work in theatres and operas. Acting involves stunts, speech, singing, dance etc.